In 2008, after 26 years of marriage, we bought our first new table. When we were first married, we knew we'd be leaving for the mission field soon and Jim's parents had an extra table that his dad had picked up somewhere and refinished. Great! We started having company right away, just two weeks after we were married. A habit we've continued. My brother and husband in our Monopoly Tournament, first Christmas married. 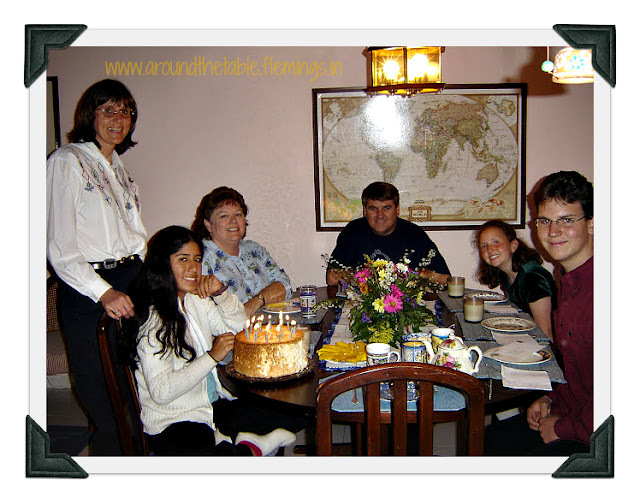 During our eight years in Peru we rented two different furnished houses. The good thing about the tables was we could seat a lot of friends at them, but the not-so-good-thing was we'd had no choice in the tables. The first table was "early missionary" style. That's okay. That's what we were! That was the first table our first child sat at with us. How exciting to start growing our family. What sweet memories of first bites, spilled food, and smiles! First table in Peru. So many things I notice about this picture: that great baby chair that attached to the table and folded completely flat; the toy that he couldn't throw on the floor! ; the fresh flowers that were so inexpensive in South America; the formica table--"early missionary!" Our second home had a beautiful dining room set with hutch and buffet and very large table of heavy, real wood that termites loved! In spite of them boring through the wood once in a while, we added two more children while living there and the table was messy, noisy, and full of love. When we moved to Colombia we went to a second hand shop and found a gorgeous refinished oval table and six lovely chairs. Of course, this was probably not the most practical purchase for a family three and then four little ones! It was a beautiful set--our fourth table. This one we owned! Then a single friend bought an expanding table that came with twelve chairs. Even though it was homemade and awkward to use, we decided it was logical to trade. She would probably never have more than five guests and since we were six already; there wasn't a lot of room for extra people at our table. That table was the center for many birthdays, guests for dinner, and, of course, family dinner every night. This table had two leaves and we could angle it in the living/dining room and squeeze in 14--which we did on many occasions! When we left Colombia to live in the states again, we needed yet another table. Just before signing on the house we went to a local furniture store to see what was available and saw a rectangle oak table on a closeout sale. We had already decided we wanted rectangle so we could "extend" it even more than it's two leaves did by adding other square sided tables to either end. We left to sign the papers and check the house again, but the area where the table would go looked too small. Jim measured the space by counting steps across the floor. Would the table fit in the eating area? We went back to the shop and tried to compare steps with steps. Was it too long? We weren't sure. Smiling, the sales lady tossed us a measuring tape and said, "Go measure it!" We did. It fit. A group of men from our new home church helped us on moving day. 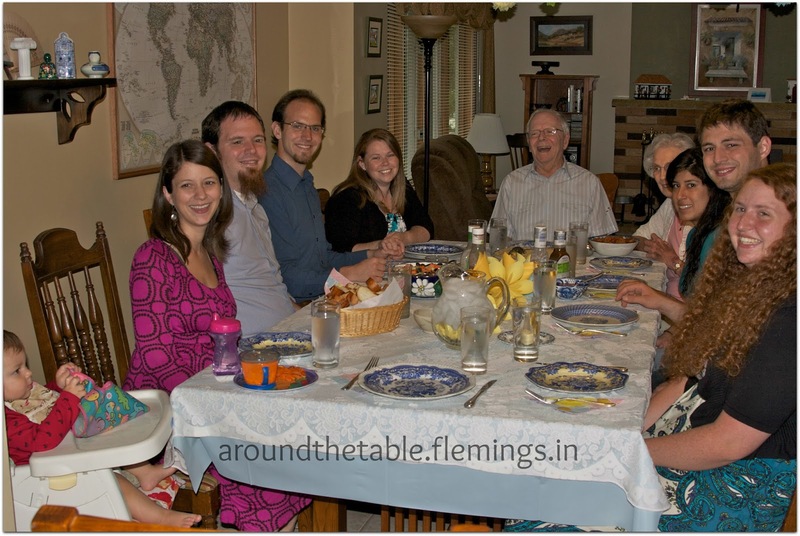 We had our first meal at the table that day with our son, daughter-in-law and youngest daughter. That is the table we eat around now. We love that now we have four generations around this table regularly. Six grands and all four of our parents have joined us at this table. We are thankful. First meal on our current table of eight years, the longest time we've had one table! 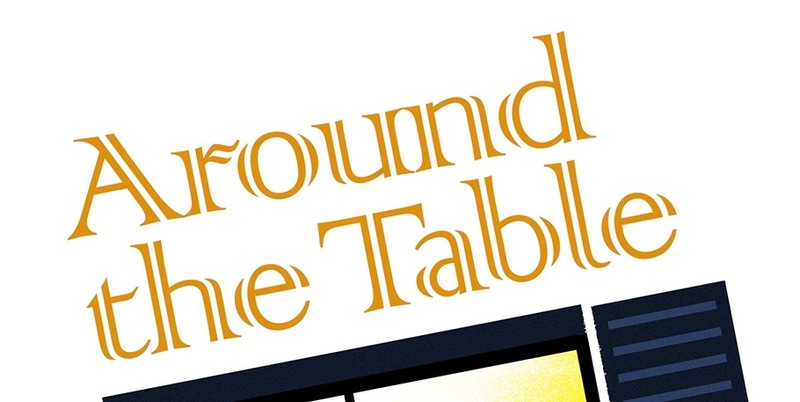 Do your tables tell the story of your life? I'd love to hear them! If you are interested in writing a post, check out the guidelines here. I would love to feature you! Oh, what a fun post! 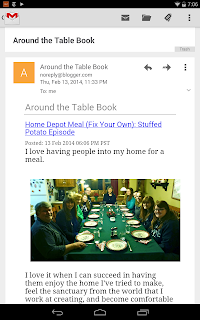 I loved how you focused on all these tables and what they meant to your family through the years! Thanks for linking up and sharing it at #5After5 this week, Sharon! Beautiful story and I've eaten at two of the tables! It would be fun to know if there's anyone who's eaten at all of them.